Okay – not the most attractive of flowers, I’ll admit. But, oh – the fragrance! 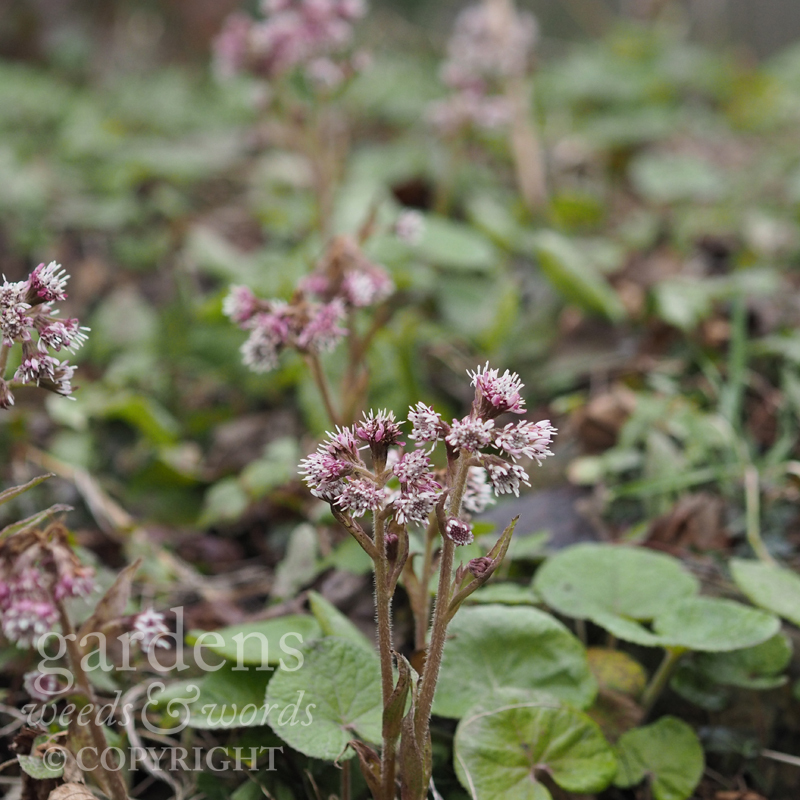 Not known as the winter heliotrope for nothing, Petasites fragrans has the same cherry pie scent as the (totally unrelated) purple-flowered summer favourite. A curiosity in winter, it spends most of the year as a low ground covering of kidney-shaped leaves, and is useful on damp ground and slopes. It will spread to form a large colony, so best for wilder areas of the garden.